I know I said I’d be going dark for a spell, but OMG IT FINALLY SNOWED A BAJILLION TIMES and so I have cabin fever and cabin fever makes me eat like I have seven stomachs and also I missed you guys. So hey there, friends! I don’t think I need to elaborate on how deeply I hate this weather, since I imagine a lot of you feel the same way. I suppose it’s enough to say that peeling a frozen teardrop from your face whilst attempting to trudge a third of a mile to the subway station is not an ideal way to spend a Monday morning. Or any morning. I do hope you’ll agree. The first three seconds of this commercial pretty much sum up my feelings on this year’s Super Bowl. BO-RIIIIIIIING! And don’t get me started on that filthy Stamos yogurt commercial. I personally was thisclose to calling the FCC just because I was offended by his face on my screen. The only saving grace of that whole night– besides the above Muppet extravaganza– was PRINCE on New Girl’s post-game episode. I’ll say it again. Prince. Prince. Prince. Loves him. 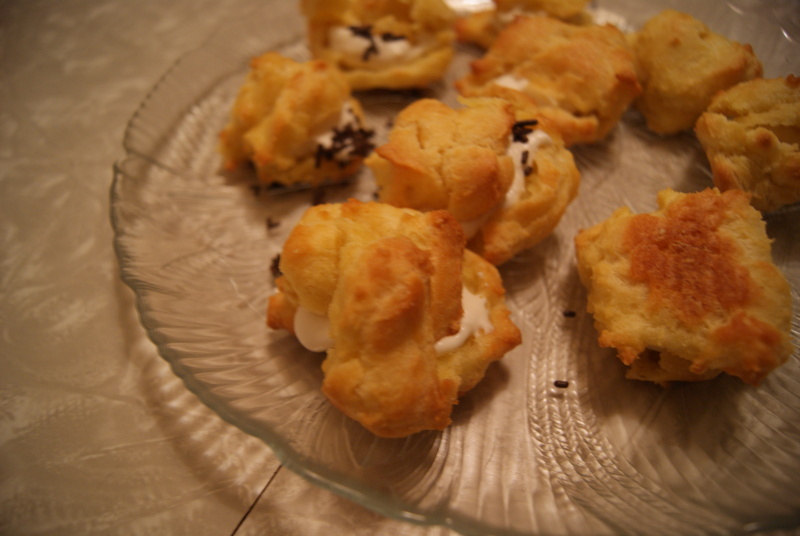 Oh, actually, there was one other extremely wonderful treat that night– the cream puffs! I’ve always wanted to try my hand at these but have been feeling lazy and untalented and generally bad about myself (maybe I’ll get into that on a different post when I’m thawed out and in better spirits. Whenever that is *chuckle*) and basically thought these were super difficult to make. 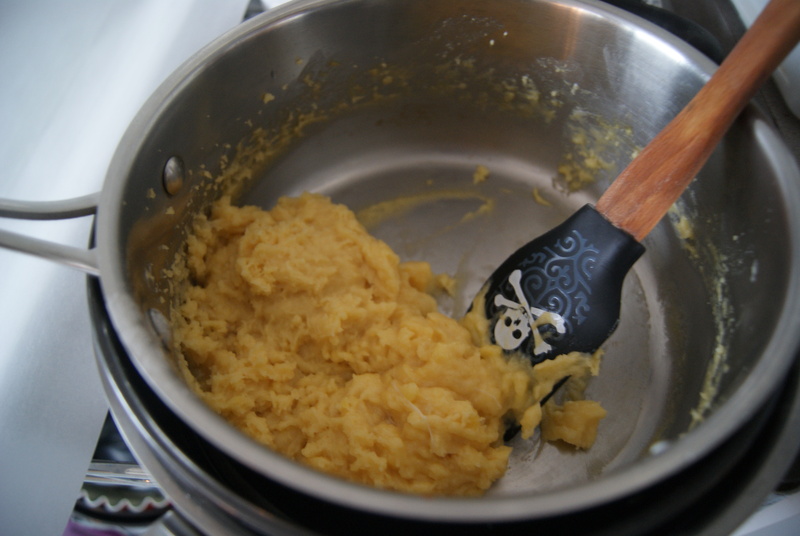 Then, I happened to see an article on pâte à choux in a recent magazine–whose name I will not mention because the company has personally offended me– that went on and on about how easy the “puff” part of cream puffs are to make. And, given my combative nature (LOL!) and need for easy-but-fancy-thangs in my life, I thought these would make for an appropriate game-night dessert. Note: I made the easiest filling possible, whipped cream, mostly because we’ve been eating like wild animals for the past few weeks and I needed to cool it on the heavy sweet treats. Seriously, it’s been bad. If you’re looking for a pastry cream filling instead, Joy of Baking will hook.you.up. Now, you can either fill a pasty bag with this batter or simply use two spoons to plop tablespoon-sized mounds onto your baking sheet. If you see the mixture getting a little bit lumpy, and lumpy bothers you, you can wet your finger and smooth out the imperfections. Lumpy does not bother me/I’m lazy. 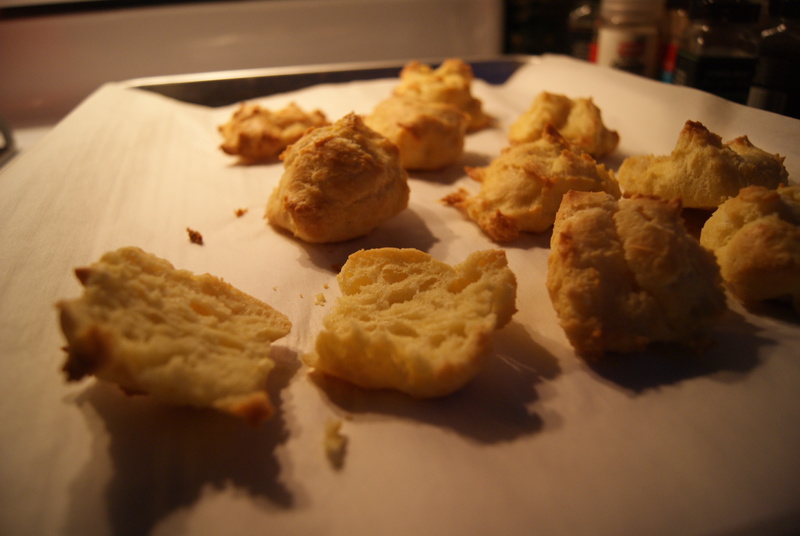 Bake puffs for about 30 minutes, until golden brown. 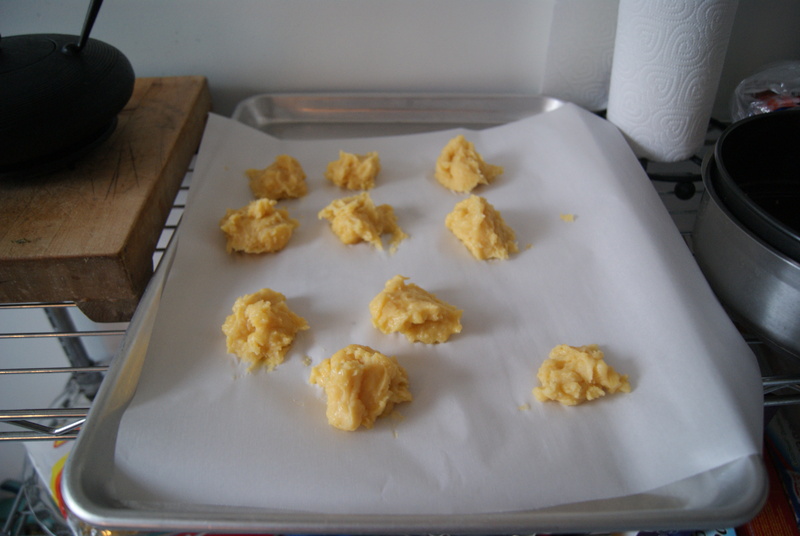 Lightly prick each puff to release steam, then transfer to a wire rack to cool completely. When cooled, you can either poke holes in the tops of your puffs or cut them in half and fill, then sandwich halves back together. To fill: Beat heavy cream and sugar on high until peaks begin to form. Stir in vanilla and beat again, just until combined. Spoon as much of whipped cream as you desire into puffs. As you can see, I also added chocolate sprinkles to my puffs, because I am four and LOVE SPRINKLES AHHHHHH! Also I thought they looked prettier this way. You also probably noticed that the actual puff dough contains no sugar, which I personally like. You can basically fill these babies with anything you like, or use them as a base for sweet or savory snacks, like eclairs or cheese puffs. Or cheeseclairs. What’s a cheeseclair, you ask? I don’t know, but I kind of want to use my next post to find out. Stay tuned. So, how were they, you inevitably ask. Oh they were just terrible. So terrible that my boyfriend and I ate almost every single puff before the second quarter even started. So terrible that I am making these again tonight because they’re easy and I feel compelled to now attempt these cheeseclairs I heard about somewhere five seconds ago. Yum. ← Honey I Shrunk The Pie. Also, Honey I’m Totes Going Off The Grid For A While.